The @EverydayClimateChange exhibition currently showing at Trongate 103 is prescient. This week’s major IPCC report has made little impression on news headlines. How could it when in competition with the sartorial elegance of royal wedding guests and the minor infidelities of d-list celebrities? Cara Delevingne’s top hat and tails did look smart but Storm Callum meant she had to hold onto that hat with both hands. Away from the frivolous distractions of our mass media we need reminding at every opportunity of the truth of our precarious situation. The @EverydayClimateChange exhibition is spun off from a two and a half year old Instagram project that has more than one hundred thousand on-line followers. It is an initiative started by Tokyo based American reportage photographer, James Whitlow Delano. Now there are roughly twenty participants, all professional photographers, based across six continents. Together they have posted more than two thousand climate change images on their Instagram account. All of the images come with detailed captions contextualising the sometimes beautiful, sometimes harrowing, photographs from around the world. The pictures show the causes and effects of and embryonic solutions for, climate change. 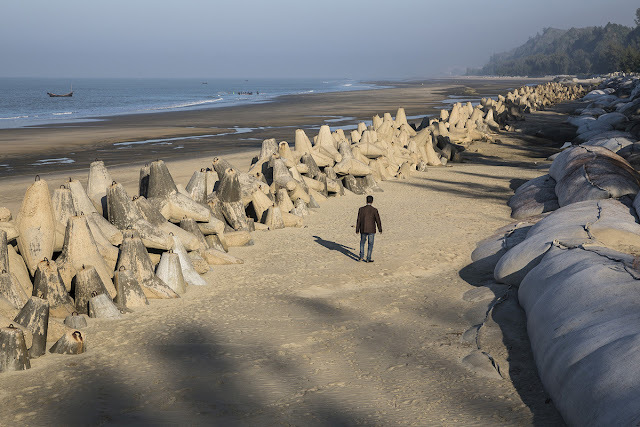 In Bangladesh a man walks alone between the giant but ultimately futile concrete and sand defences against rising sea levels. In Timbuktu a young boy proudly wears his T-Shirt with the slogan “MONEY GROWS LIKE GRASS” as he stands on arid land seemingly devoid both of green blades and greenbacks. The advantage of online platforms is the potential to reach many thousands of people around the world. 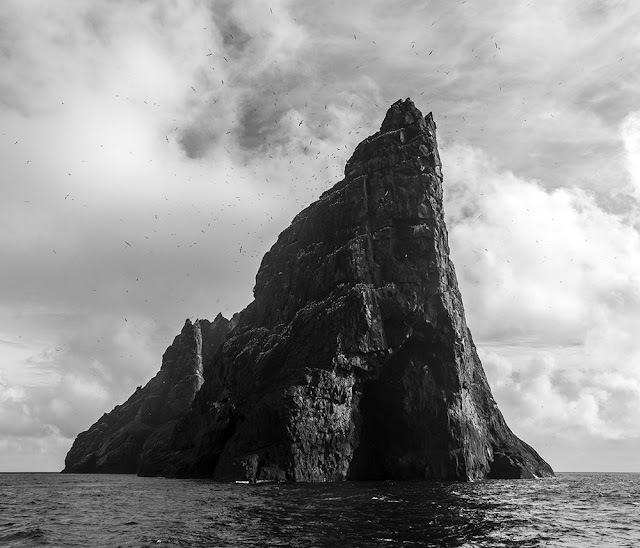 In addition @EverydayClimateChange have held gallery exhibitions in America, Portugal, Italy and now Scotland. 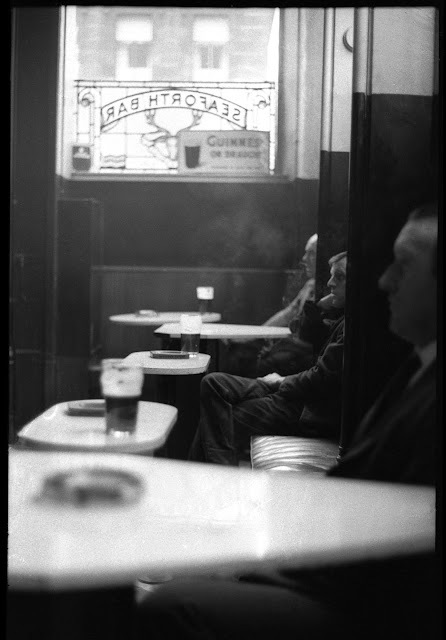 Jeremy Sutton-Hibbert who has organised and curated the Glasgow iteration with support from Street Level Photoworks says the group is keen to engage with as many people as possible and the exhibition format potentially reaches a different layer of audience to habitual Instagram users. The exhibition format also gives more presence to the texts (see below) that describe each photograph. The texts provide vital information on the surprising connections between climate change and capitalist exploitation, poverty, migration, Jihadism and even sexually transmitted diseases. Sutton-Hibbert has been photographing assignments for Greenpeace for the last twenty years. Like many of his colleagues on the @EverydayClimateChange project he has travelled far and seen a great deal as a photographer to convince him this problem is a real and present threat to humanity. The apathy of so many people towards climate change, in face of loud scientific declarations of warning can be frustrating for those like Sutton-Hibbert who understand its dangers first hand. There is solace in action and hope too in some positive developments such as the growth of renewable energy and the shift toward electric transport. These photographs will not halt climate change, that will require collective political action on a massive scale, but they insist we pay attention to the problem. In our current cultural climate of distraction and denial, every small blow struck for the truth matters. That is why these photographs matter and that is why they should be seen and considered. Photograph by Jeremy Sutton-Hibbert @JshPhotog for @Greenpeace — An iceberg floats in the Southern Ocean, off of #Antarctica. 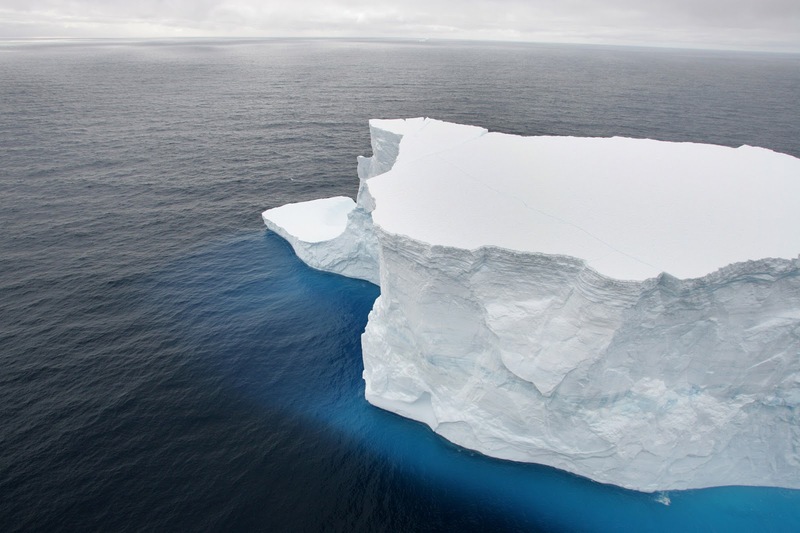 A report published this week in #Science journal states that the ice shelves around the edge of Antarctica are melting faster than previously thought. These ice shelves act as buttresses to the ice on land, and help slow the flow of glacial ice into the oceans. The West Antarctic Ice Sheet has been "long regarded as the more vulnerable part of the continent to climate change." 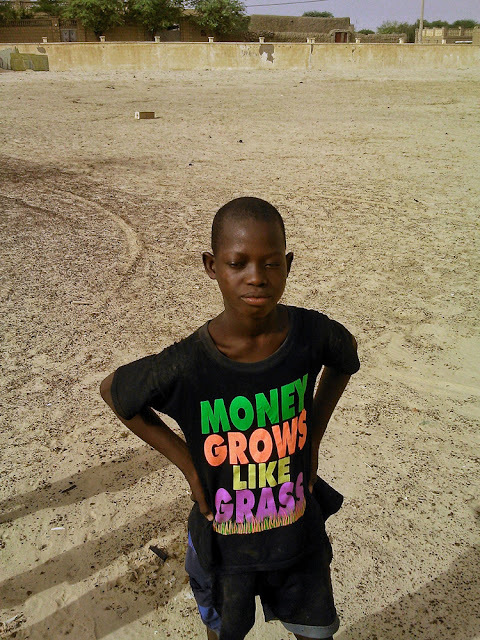 Post by Nick Loomis @liloomis - I saw this boy playing with his friends at the Peace Monument in #Timbuktu back in August and the irony was unmistakable. There, money does indeed grow like grass. Successive droughts in recent decades have wrought havoc on the Sahel region, which divides Saharan and sub-Saharan Africa. Until recently, Northern Mali’s legendary city of Timbuktu would’ve been considered part of that semi-arid band. But as rains become erratic and less frequent, the life-blood of the region — the Niger River — recedes, the #desert inches south, grass and farmlands disappear, livestock dies off, and food insecurity can become geopolitical insecurity. The first time I went to Northern #Mali, I reported a story about the link between climate change and its occupation by various militant groups in 2012-13. Throughout the conflict, some analysts suggested that the loss of livelihoods among nomadic populations can lead to negative coping strategies like cutting down trees for charcoal (which further exacerbates #desertification), and even paid enlistment in Al-Qaeda linked militias. Photo by Ashley Crowther @ashleycrowtherorg: Solar panels in the Zanskar Valley, India. These panels have brought much needed electricity to some of the most remote communities on the planet. 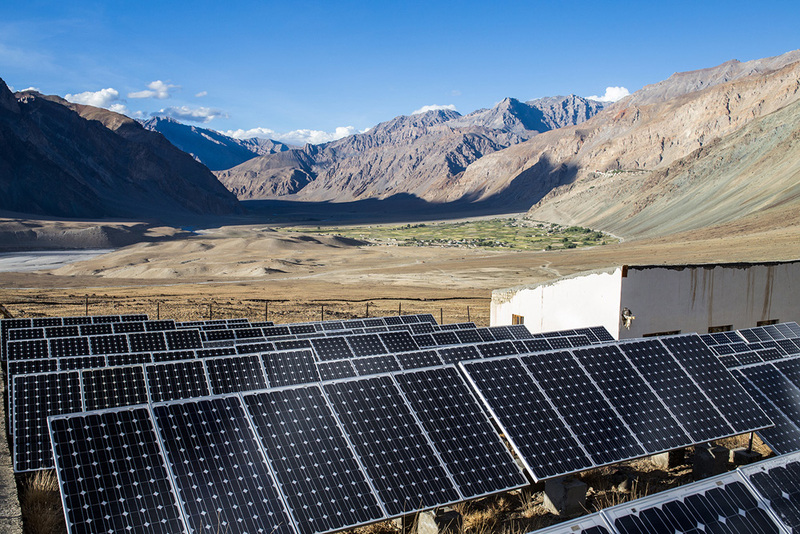 In a government partnership with local communities, the state put forth the initial investment for the panels and then handed over the responsibility of maintenance to the communities in the valley. Influential economist E.F Schumacher coined the idea of ‘appropriate technology’ in 1973. His idea of appropriate technology hinged on the notion where the context of the situation determined what technology was to be used. This would do away with the ‘one size fits all approach’. In the case of electricity within the Indian Himalayan region it is a prime example of this idea in play. The region receives 300+ days per year of sunshine and typically homes do not require vast amounts of energy. The solar panels allow the lighting of homes at night, charging mobile phones, and increasingly watching TV. Small-scale carbon emissions free solar plants, as pictured, are a perfect source for these activities in remote parts of the world.